Dr. Pollard and her colleagues developed the metagenomic intraspecies diversity analysis system (MIDAS) to rapidly profile differences in gene content and single nucleotide variants across bacterial strains. To build MIDAS, researchers initially generated a database of 31,007 high-quality bacterial genomes. Using a set of 30 “universal” genes, they hierarchically clustered the genomes to define species. The researchers were able to assign 8.6% of the previously unannotated genomes to a species and reassigned species for 9.8%. Once the MIDAS system was functioning up to the investigators' standards, the team applied the system to 98 mother and infant stool metagenomes—using strain-level genetic differences to track bacteria between mothers and babies. “Strain-level variants reveal patterns that contradict what one would assume from patterns at the species level,” noted Stephen Nayfach, the study's lead author and a graduate student in Dr. Pollard’s laboratory. Previous studies suggested that mother and infant microbiomes become more similar over the first year of life. 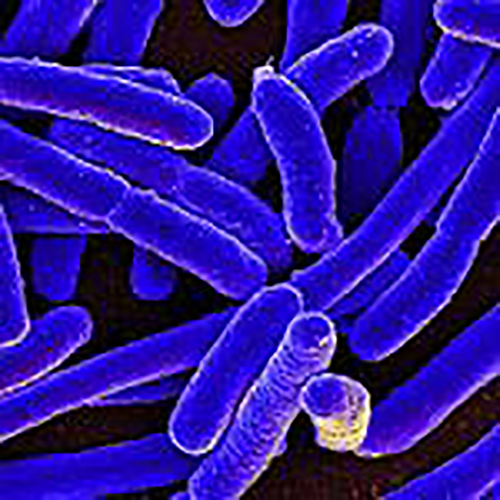 However, by examining marker alleles, or rare genetic differences, the researchers found that early colonizing strains are transferred from the mother, but that late colonizing strains are different and likely acquired from the environment. Interestingly, the research team applied MIDAS to marine samples collected at varying depths across the world's oceans. They found that the most prevalent marine bacteria had differences in gene content that were strongly associated with geography. Additional work will be needed to distinguish whether genetic differences between locations are the result of adaptation or genetic drift within the species. “The next big challenge is to disentangle the forces that drive population structure in the microbiome and to associate this variability with traits of the host or environment,” Dr. Pollard concluded.